From IAM ( Identity access management ) Choose Group Create Group with permission Administrator access and then hit create. create user and add that user to the group in my case the group name shown above, save the secret key and access ID as CSV. 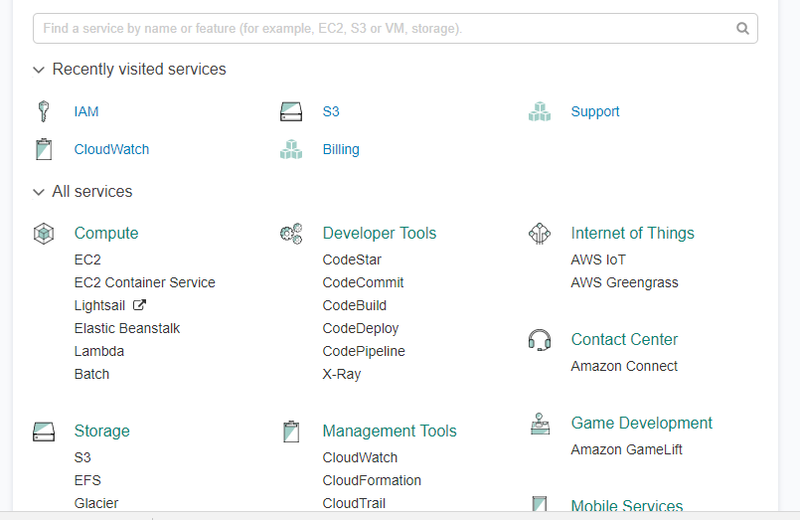 Now from this link here, Download AWS Command Line Interface depend on your operating system and open cmd , terminal … etc. Open the command line and test if it’s connected to AWS now. Then make sure you are on the right Region. In this Post i Created document that contain step by step how to refresh Development/Test/UAT From Production database. sql injection : attack vector in the DBMS through Web applications because of a failure to sanitize user inputs. SQL Injection in the DBMS exploits passing SQL commands as a parameter of a function or stored procedure. 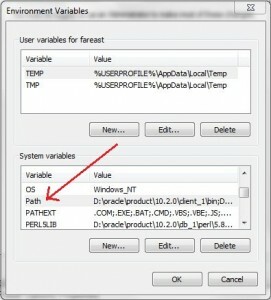 This will then execute the malicious SQL commands in the context of the component that provides the called function. This is often done using components with system or admin privileges resulting in privilege escalation. These features provide database application developers with a lot more power when working with a DBMS. The flipside of the coin is, the more power you give a developer, the more attack vectors you potentially expose to the bad guys. 5-check-your-database-configurations with your company Goal. A buffer overflow is when the input to a function contains more data than the input buffer can hold. If the size of the input is not checked during the copy to that buffer, adjacent memory that is used for other purposes might get overwritten. In most cases, this will be more or less random and can lead to unpredictable behavior, like crashing the server. However, if an attacker is able to also change the code execution pointer to the location of the overwritten memory, it is possible to execute any kind of malicious code using the context of the DBMS process. This could lead to a potential total compromise of the system, resulting in loss of sensitive information and overall security. To protect against these types of attacks, it is important to always keep your DBMS updated with the latest security patches available from the vendor, as well as monitoring for known attack signatures. privilege escalation attack is when the attacker is exploiting a known vulnerability in a DBMS that allows a user account with restricted privileges to execute instructions or query data that that typically requires higher privileges. Thus unlocking the locks in the candy store. There are different common vulnerabilities that allow for privilege escalation. Sometimes misusing a function that runs under a sysdba, sa or similar security context. In other cases it is done by exploiting vulnerabilities that allow a low-privileged account to grant itself more rights. To protect against these types of attacks, it is important to always keep your DBMS updated with the latest security patches available from the vendor, as well as continuously monitor for known attack signatures. Think of a washing machine. The more clothes you put in it, the more work it needs to do. If you overfill it with clothes, it gets overwhelmed and stops working. The same thing happens with a Denial of Service attack. It creates so much traffic on a site, a server or even sections of the internet that it cannot function and shuts down. The most infamous DoS involving database servers was in 2003 when a computer worm called the SQL Slammer compromised more than 75,000 servers and slowed internet traffic to a halt. Many organizations don’t implement patches right away – some even wait a year or more. The most common excuses are the downtime involved with implementing patches and the time involved with testing these patches to make sure they don’t affect the production software. Whatever the excuse may be, organizations should use database activity monitoring to manage the gap between patches on its databases containing critical information PII data. Encryption is an important part of housing sensitive data. Network traffic should also be encrypted to ensure that the passwords used to access sensitive, critical data cannot be seen by traffic. Any information that goes over the network or stored in the database should be encrypted and kept from prying eyes. Some network configurations and database management systems might allow for critical information to be sent in clear text. To ensure this doesn’t occur, make sure you have the latest version of software and turn off text indexing. Remember to back to my online article . 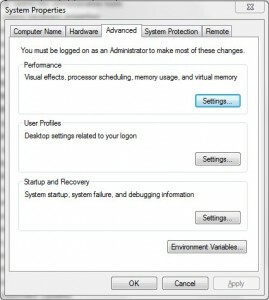 this problem On windows Platforms . and it must be related to Windows Environment or Oracle Home PATH because sqlplus command works smoothly when I execute it inside ORACLE_HOME\bin. in other words, put the Oracle DB Home in front of the other path. 1-Remove ORACLE_HOME From environment Variable . 1 ) There are duplicate rows on FND_HISTOGRAM_COLS table for JE_BE_LINE_TYPE_MAP table. Because of this problem, FND_STATS tries to gather histogram information using wrong command and it fails with ora-20001 errors. Following SQL should have returned one row , not two. 2) Column does not exist on the table but still listed in FND_HISTOGRAMS_COL table. Find out all duplicates and/or obsolete rows in FND_HISTOGRAM_COLS and delete one of them. Remember to take backup of the FND_HISTOGRAM_COLS table before deleting any data.